At Cedar Glen Apartments, your big Texas dreams are within reach. 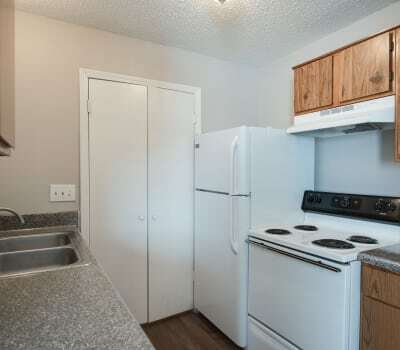 Choose from our one, two, and three bedroom Southwest Dallas, Texas, apartments for rent near Duncanville. Housed in striking brick buildings on sprawling professionally landscaped grounds, your new apartment offers an array of inviting features and luxurious finishes. Perfect for busy local professionals, Southwest Dallas families, and everyone in between, discover your ideal living space at Cedar Glen Apartments. The impressive apartment homes at Cedar Glen Apartments are designed to support unique modern living. Set on picturesque and park-inspired grounds, you can choose your dream floor plan from our one, two, and three bedroom apartments. Each home offers a spacious floor plan and beautiful vaulted ceilings, creating an open and inviting environment. Experience the impressive design and features at Cedar Glen Apartments. Call our professional leasing team to schedule your tour of our Southwest Dallas, Texas, apartments for rent.